Bandai Namco Entertainment has unveiled a Little Nightmares spin-off game for mobile called Very Little Nightmares. Based off the popular puzzle-platformer that released on console and PC in April 2017, Very Little Nightmares looks to take place in the same terrifying world. 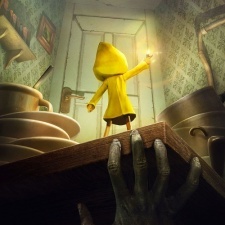 Little Nightmares was ported to Nintendo Switch in May 2018. Though details of gameplay are currently scarce, from the trailer shown it seems as if players will not have free movement of the character unlike the original game. Little Nightmares has no official release date apart from the trailer stating “very soon”. The game was originally developed by Tarsier Studios with Bandai Namco publishing, however Netherlands-based Alike Studios will handle the mobile version. Alike Studios worked on family-friendly puzzle adventure Bring You Home, that saw players controls alien Polo as he attempted to rescue his pet. Players interested in the game can pre-register for the launch can sign up here.